Reporter Kate Anderson Brower’s book, First Women: The Grace and Power of America’s Modern First Ladies, is being made into a TV series, and it will likely be so much more interesting than stories about their husbands. Deadline reports that Pacific Standard, Reese Witherspoon’s production company, is working with Robin Wright on an adaptation of the book, which is described as an “intimate, news-making look at the true modern power brokers at 1600 Pennsylvania Avenue: the First Ladies, from Jackie Kennedy to Michelle Obama.” We will never run out of ways to tell Jackie Kennedy’s story, apparently. 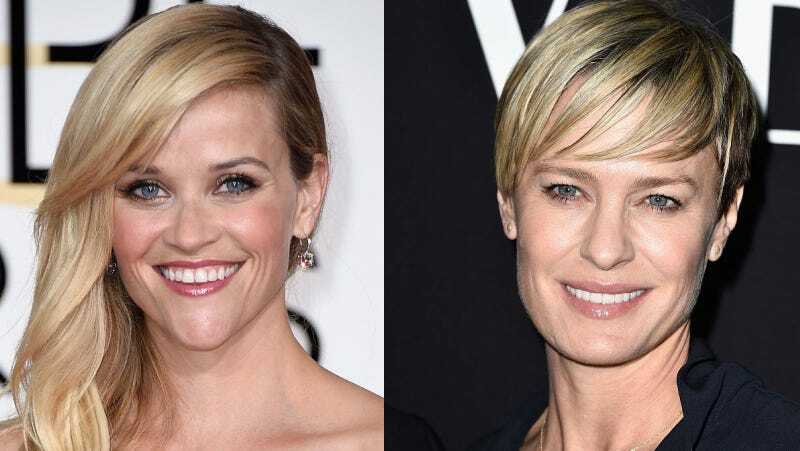 Robin Wright is signed on to direct and executive produce the show, perhaps informed by her Golden Globe winning role playing fictional FLOTUS Claire Underwood on House Of Cards. In addition to Witherspoon, she’ll be assisted by Anonymous Content’s Michael Sugar, and Bruna Papandrea. Witherspoon founded Pacific Standard with Papandrea in 2012, but The Hollywood Reporter says they went their separate ways in early September. The company produced films like Gone Girl, Wild, and Hot Pursuit—a mixed bag with some big hits. They’d been acquiring a lot of material, especially books. Their plan is to complete the projects they have in development, such as an ABC series featuring Anna Paquin, and now First Women.